don't know if you quite understand how truly, incredibly easy it really is. 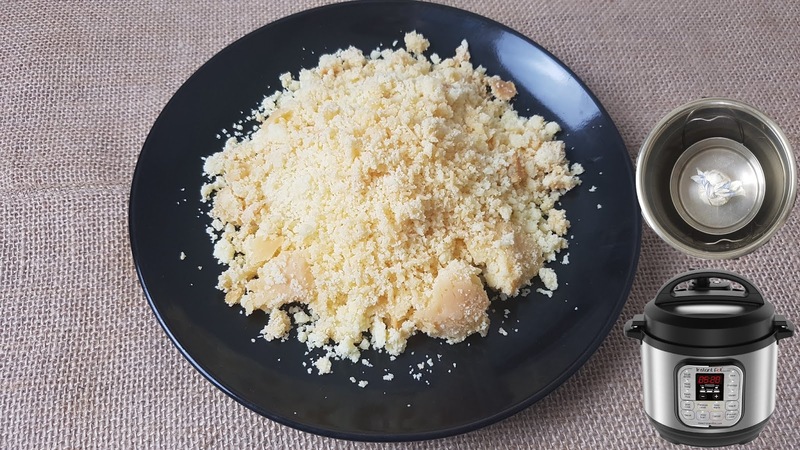 Here you can find the easiest and simplest way to prepare aromatic, crumbly khoya at home that needs no stirring, no need to worry about sticking to the pan. In fact, you have to just put it into a pan and close the lid, and you are free to do your other work, in few minutes open the lid and Khoya is ready to use. Every time I have prepared Khoya using Instant pot, it came out so good, way better than we bought from a store and it's homemade. It will need 2 ingredients and 10 minutes to prepare it. Isn't it sounds easy? 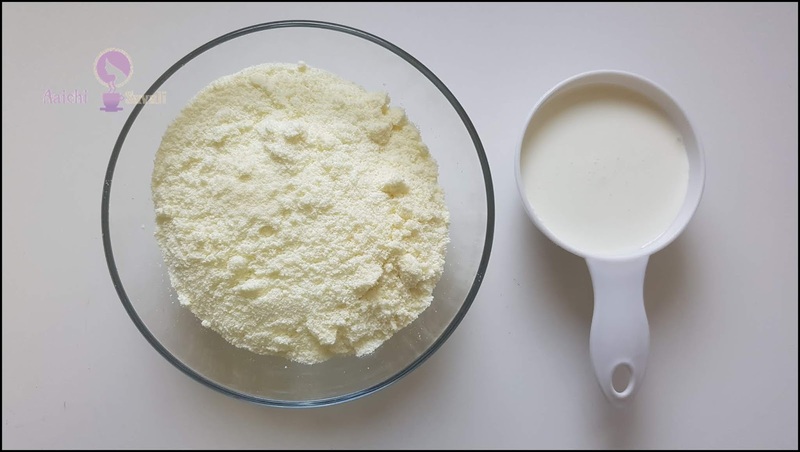 Milk powder or milk solids go through a few stages on their way to becoming useable to make desserts. At first, the mix looks sticky, dough-like, but let the dough steam for few minutes, and it starts resembling crumbly and aromatic like Khoya. After about 10 minutes, you open the lid of the instant pot and the aroma of perfectly done khoya, you might be tempted to call it oh my yum!😋 Steaming milk solids and cream gives your Khoya a deeper, richer flavor. 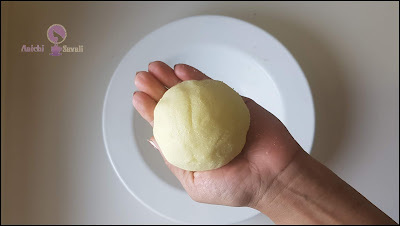 This how you make your own Khoya and all other kinds of Indian desserts using this instant homemade khoya. 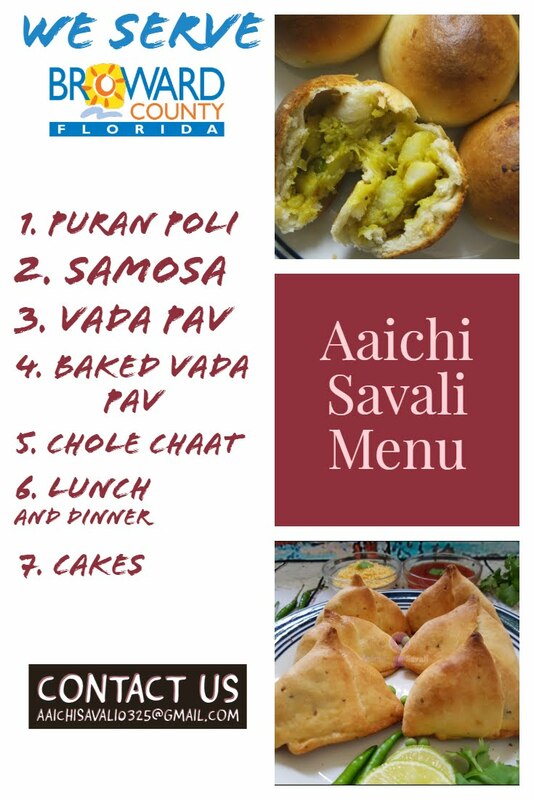 I have also made desserts using khoya like khoya poli, khoya modak, gajar ka halwa and many more, you can find them in the archive. Most of the Indian desserts or sweets are made from khoya or mawa. Traditionally khoya or mawa is prepared by evaporating milk and reducing it to its solid form. Nowadays people don't have enough time to make this traditional method to make khoya, and at some places it is difficult to get it from grocery stores too, so I have come up with this simple method to prepare mawa at home without compromising the taste and with only 2 simple ingredients which are readily available into your kitchen pantry. 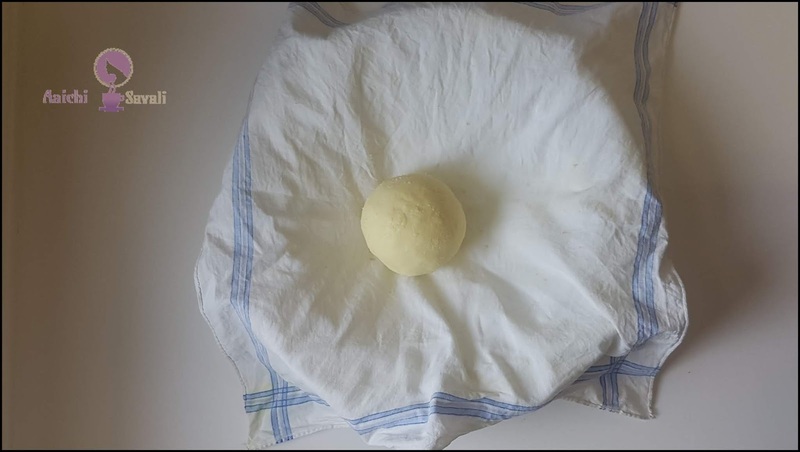 The method shown below is pretty easy to make, and you can have instant khoya ready in minutes and hassle-free. This can be the best khoya recipe. Give it a try! 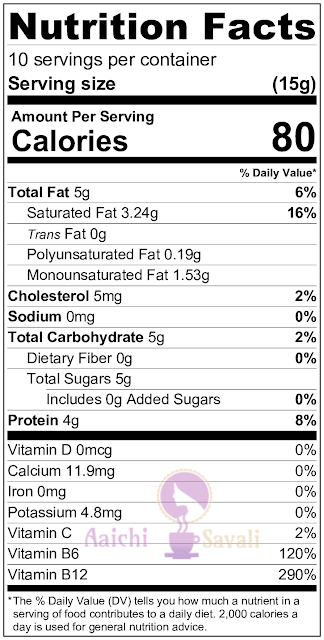 It makes 150 g of Khoya each serving of Khoya(15g) contains 80 Calories. and using hand knead to make a dough. 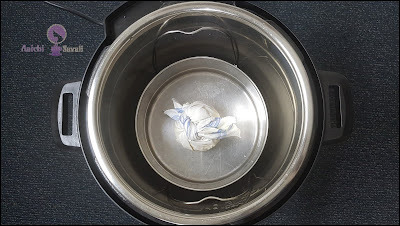 Transfer dough over cotton cloth/muslin cloth and wrap well. Close the lid and steam it for 10 minutes. Turn off the instant pot and open the lid and take out the pan. Let it cool completely, and khoya is ready to use. Once cool, then refrigerate in an airtight container. In a bowl add milk cream and milk powder and using hand knead to make a dough. In a pan add 1 Cup of water let it boil and place the pan containing khoya and cover and steam for 10 minutes, as we steam modak or veggies. Once cool down, then refrigerate in an airtight container. Refrigerate khoya in a sealed / airtight container for up to 1-2 weeks. Add milk cream little by little or as needed to make the dough. Open the lid of instant pot immediately after the 10 minutes over. If you placed it cover in Instant pot the evaporated water will make the khoya wet. Don't worry if your khoya feels little wet, once it cool down it will be fine and crumbly. Calorie count is based on a 2000 calorie diet. Per serving contains 80 calories, along with 5.04g carbohydrates, 5.24g fats, and 3.5g protein. 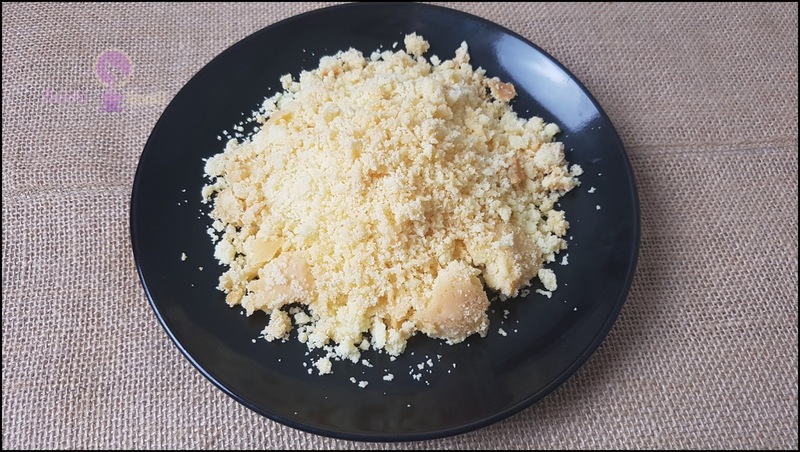 Do you make your own khoya? What dessert do you like to prepare using khoya?